This site serves as a display for services provided by The River Crew. 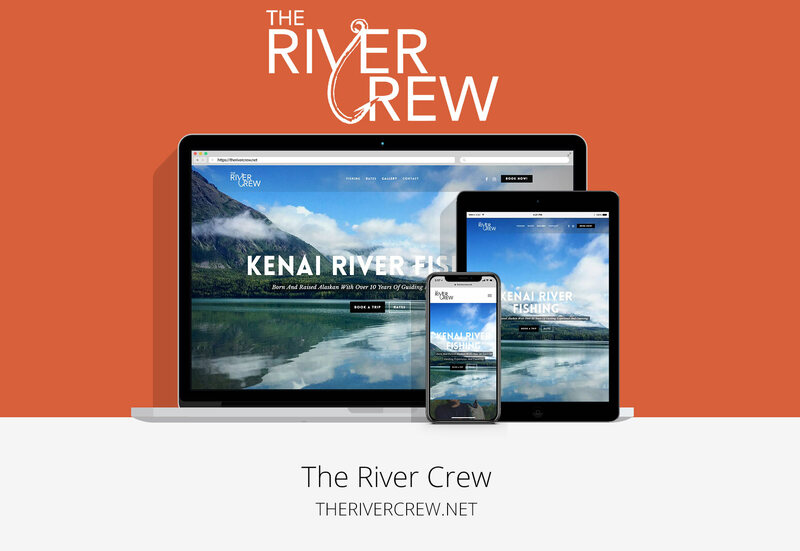 The River Crew is a premium guiding service on the Kenai River, and they needed a website to reflect that. With this website, they can display their quality and services. The River Crew is a fishing guide operation based out of Soldotna, Alaska. They offer a wide range of services from three-hour charters to full day charters. The River Crew uses a third party booking system and it was essential that it fit into the style and user interface of the website. In the future, The River Crew wanted to be able to post blogs and add in new pages with ease. They plan to partner with new companies, and that means competitive backlinking to and from the website. The River Crew also wanted a professional marketing team behind them to help with pay per click marketing, social media marketing, and content marketing. We provided The River Crew with a custom website that allows them to showcase their services and local information. With the help of their booking software API’s, We seamlessly integrated their booking software into the website, so it opens inside the website rather than from a third-party website. Their website is built on WordPress for ease of use from the client’s side if they so decide. We maintain a relationship with The River Crew for future website and marketing inquiries. The River Crew’s social media marketing, content marketing, and pay per click marketing were created and are managed by us. It’s been less than a year since they’ve been open and their peak time is almost completely booked. We look forward to helping The River Crew expand. The River Crew website is a visual showcase of services and prices. This website serves the purpose of enticing potential clientele to book with The River Crew. Our custom responsive design and development of their website offered a modern twist on Alaska fishing guide services. The River Crew had a booking platform they already used; with the use of their open API’s we were able to integrate their booking platform into their website seamlessly. The River Crew needed someone to create and manage their ad services including PPC and Social media. We were able to provide that with positive results.